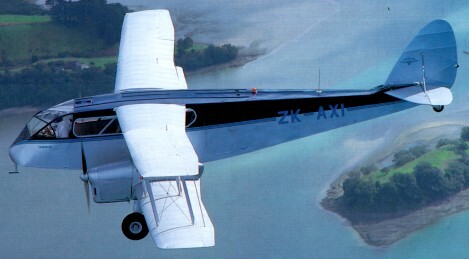 Edward Hillman, of Hillman Saloon Coaches and Airways Ltd, approached the de Havilland Aircraft Company in 1932 with a view to providing a twin-engine airliner to carry eight passengers. He had been using single-engine four-passenger Fox Moths with some success and wanted the equivalent of two of those combined into one, still with the economy of a single pilot for a proposed service from southern England to Paris. Chief designer Arthur Hagg had a light bomber being developed for the Iraqi Air Force able to carry four 200 lb bombs, a pilot, a navigator/bomb aimer and a wireless opera-tor/air gunner, plus an assortment of Lewis guns for self defence. 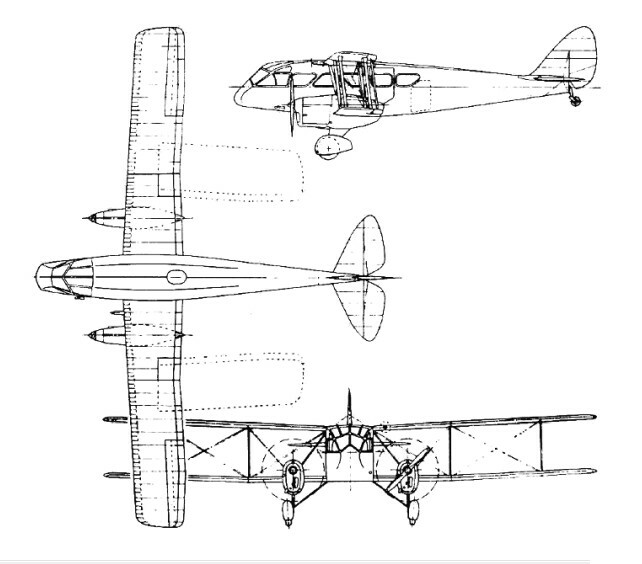 With its simple plywood box structure fuselage offering plenty of room inside, two Gipsy Major engines and typically de Havilland folding biplane wings and tail shape it would convert easily into a civil airliner, so Hillman ordered an immediate four DH84s off the drawing board. The slab-sided plywood box used successfully in the Fox Moth was adopted for the fuselage of the new design, a two-bay biplane with wings that could be folded outboard of the two de Havilland Gipsy Major engines. The pilot was provided with a separate compartment in the extreme nose and the main cabin could seat six passengers. The prototype made its maiden flight on 24 November 1932, at Stag Lane, Edgware. It was later delivered to Hillman's Airways at Maylands, Essex, together with three examples of the production Dragon 1, which facilitated inauguration of the Paris route in April 1933. British production totalled 115 aircraft built at Stag Lane and, from 1934, at Hatfield. The 63rd aircraft was the first of an improved version, as the Dragon 2, with the glasshouse cabin windows replaced by individual framed transparencies, and with main landing gear fairings. The D.H.84M was a militarised version with a dorsal gun ring and a fin fillet; supplied to Denmark, Iraq and Portugal. Dragon production stopped in 1937, but all the tooling and jigs, along with those for the DH94 Moth Minor, were shipped to Australia early in the war. So between September 1942 and May 1943, eighty-seven Australian Dragons came off the assembly line and flew. They were based on the English Mark 1 model, with its continuous cabin win-dows, but had a steel diagonal brace tube behind the pilot instead of the normal bulkhead separating cockpit and cabin. Produced as navigation trainers for the Royal Australian Air Force, the first of these flying on 29 September 1942. Two Dragon II were impressed by the RNZAF 1939-45 for communications and radio training. Best SE speed: 75 mph.